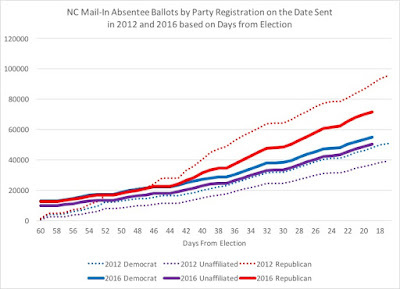 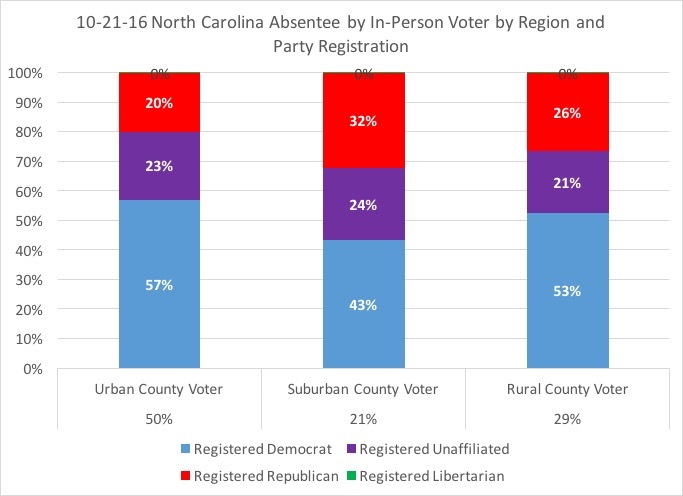 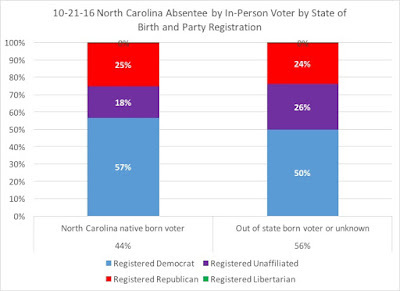 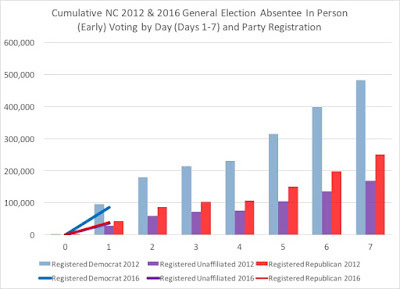 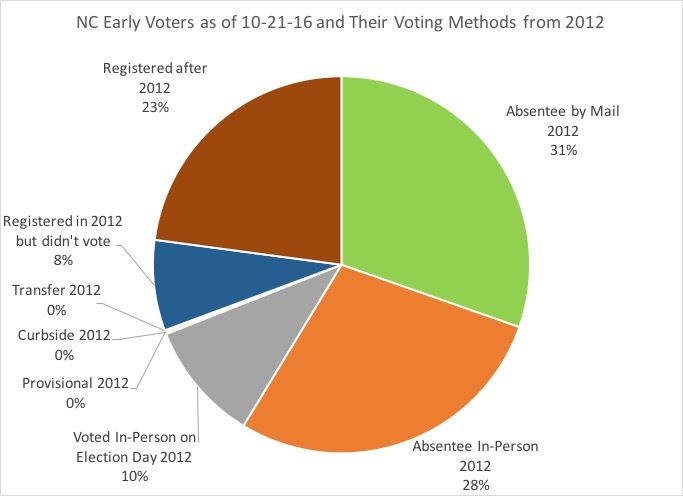 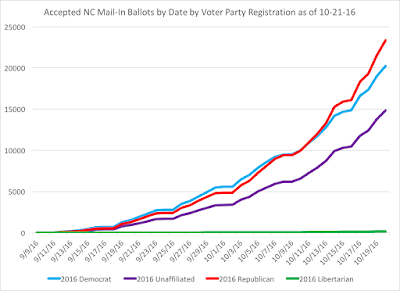 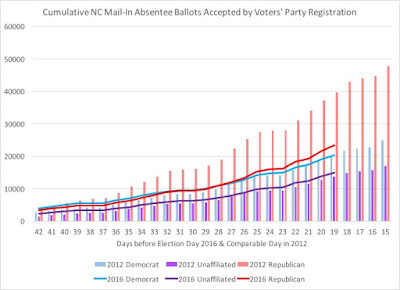 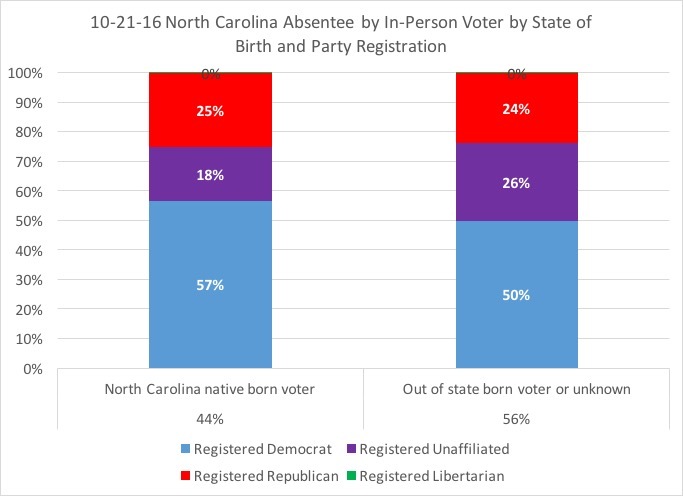 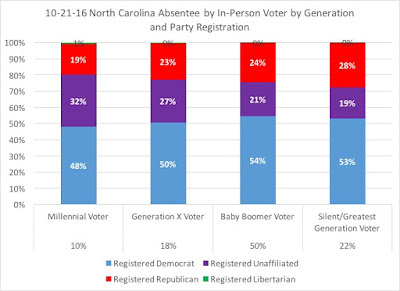 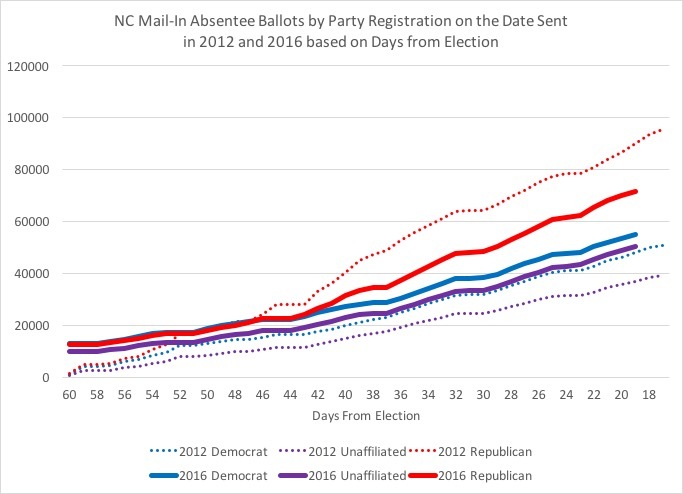 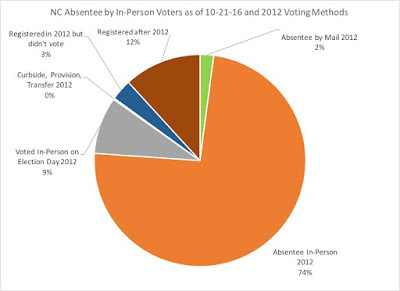 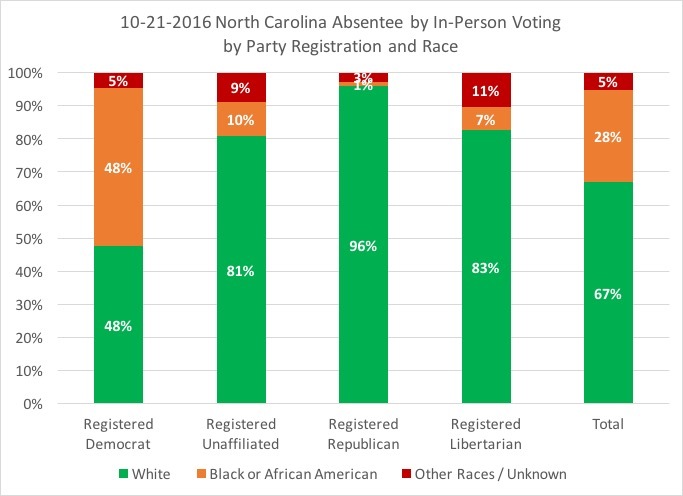 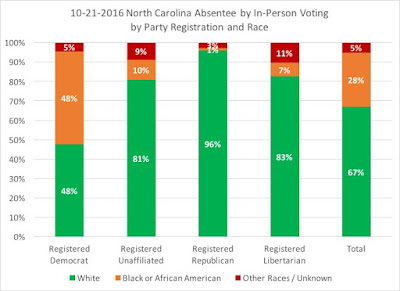 With North Carolina officially into its two early voting methods, the numbers of registered voters casting ballots has grown significantly, with a total of 341,662 requests from both mail-in and in-person balloting, and 220,954 of those ballots returned and accepted for the November 8th general election by either mail-in or in-person voting. 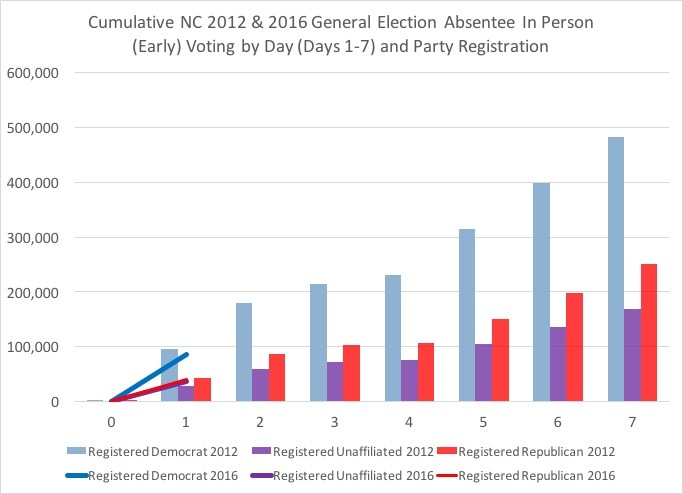 The total number of in-person early ballots is down 3 percent from the same day in 2012, while those from registered Democrats are down 11 percent, from registered Republicans down 7 percent, but up among registered unaffiliated voters by 28 percent. 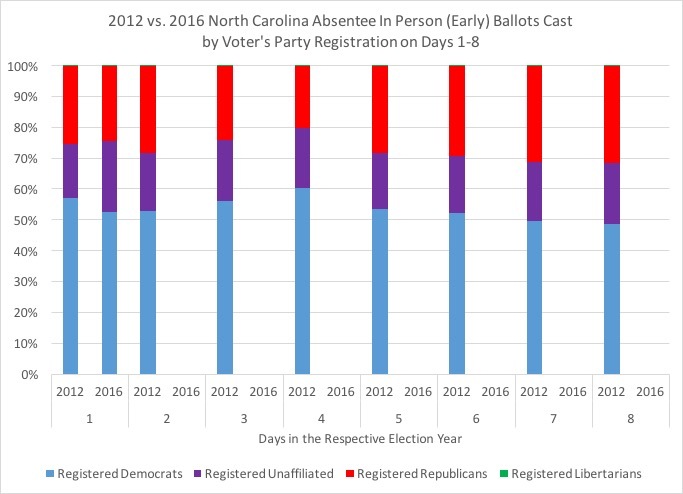 It is important to note that this year's numbers will not be a pure apples-to-apples comparisons due to changes in county hours and locations from 2012. 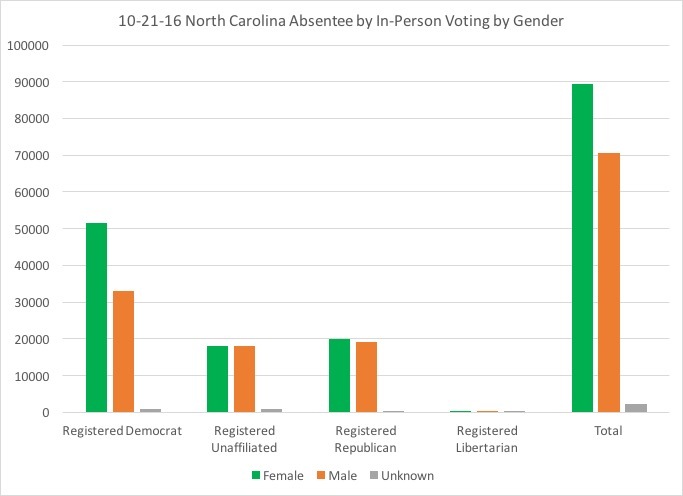 Among the early in-person ballots, 55 percent are from female voters, with 60 percent female among registered Democrats, 51 percent among registered Republicans, and 48 percent among registered unaffiliated voters. 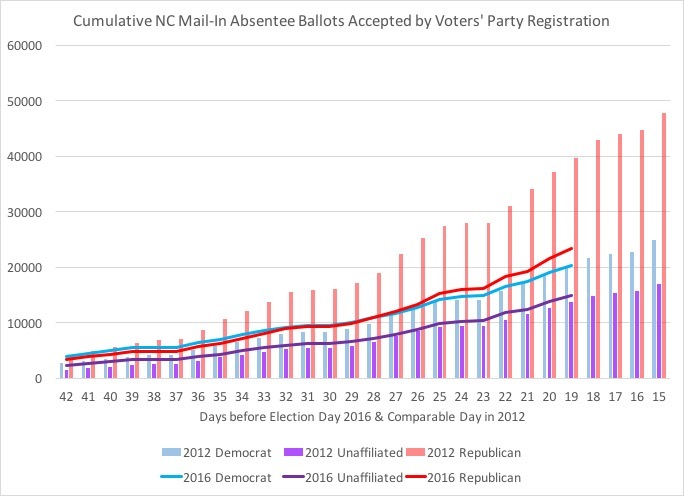 Among absentee mail-in ballots, we are nearing the end of the 6th week of voting, with nearly 180,000 ballots requested and over 58,000 ballots returned and accepted for votes. 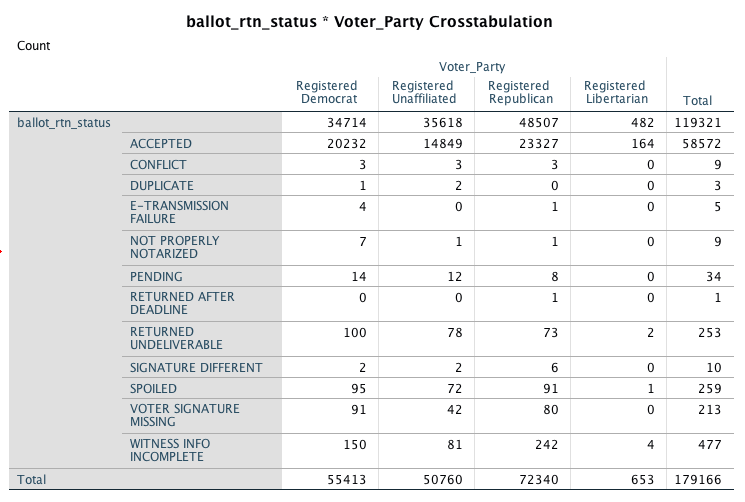 Among the requested ballots, 40 percent are registered Republicans, 31 percent registered Democrats, 28 percent registered unaffiliated, and less than one percent are registered Libertarians. 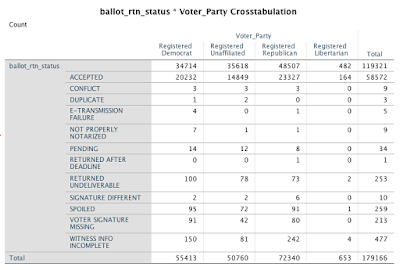 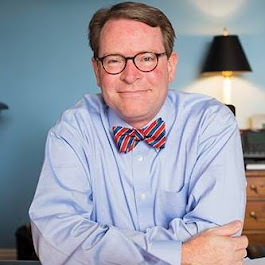 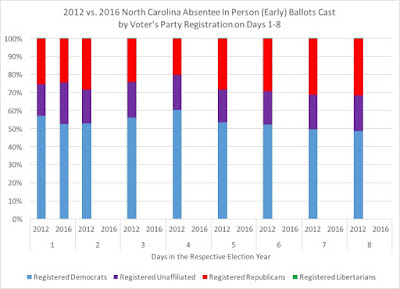 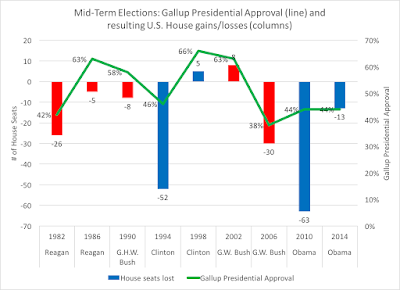 While registered Republicans are running ahead in accepted ballots, they are significantly behind their 2012 same-day numbers (59 percent of where they were on the same day in 2012), while registered Democrats (at 101 percent) and registered unaffiliated voters (at 108 percent) are ahead of their same-day 2012 numbers.